The Amazing Race Ford Mustang challenge was actually really exciting for me as a car buff. I promise I’m no reality TV junkie (I only watch a couple reality shows), but as I’ve admitted before, I think the Amazing Race is a truly great show. It’s no secret, however, that Ford is a sponsor. In fact, CBS has no problem shouting it from the rooftops. Blatant advertising aside, the Amazing Race Ford Mustang challenge that was a part of last night’s final 5 episode was actually really cool—although the advertising started much sooner when contestants had to cruise around in a Ford Focus. NOTE: This article may contain spoilers. 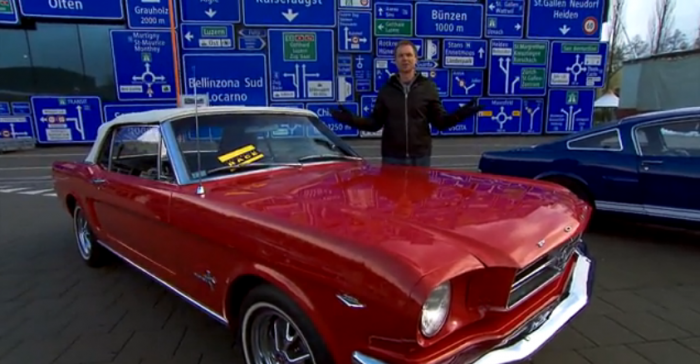 Phil introduces the Amazing Race Ford Mustang challenge on last night’s episode. 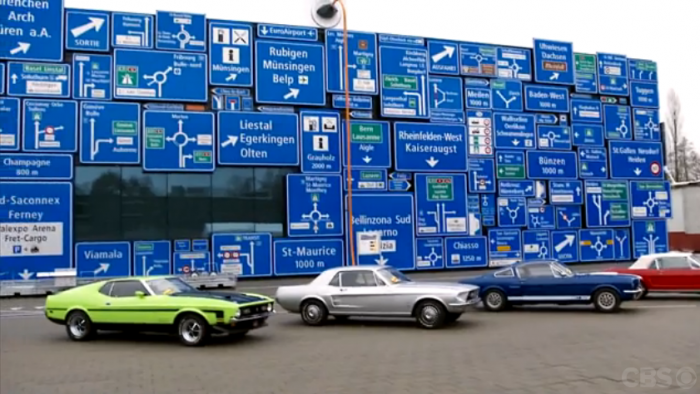 The Amazing Race Ford Mustang challenge took place at the Swiss Museum of Transport. 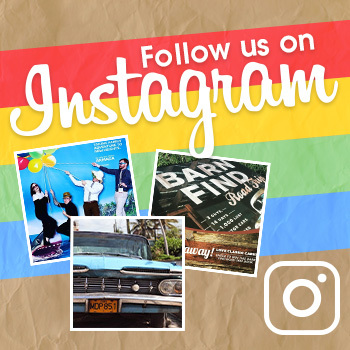 Teams, which now only include Brenchel (Brendon and Rachel), the Cowboys (Jet and Cord), the Afghanimals (Leo and Jamal), Caroline and Jennifer (by no effort of their own), and Dave and Connor, had to find the Ford Mustang exhibit at the museum. There, they had to choose one of five classic Mustangs and use a clue to determine what model year their chosen Mustang was. The clue was a simple math equation, but the numbers were missing. Instead, a clue might have said Payerne ___ km – Chur ___ km = ___. Teams had to search the wall to fill in the missing numbers. Once the numbers were filled in, they could do the math to determine the model year of their Mustang. 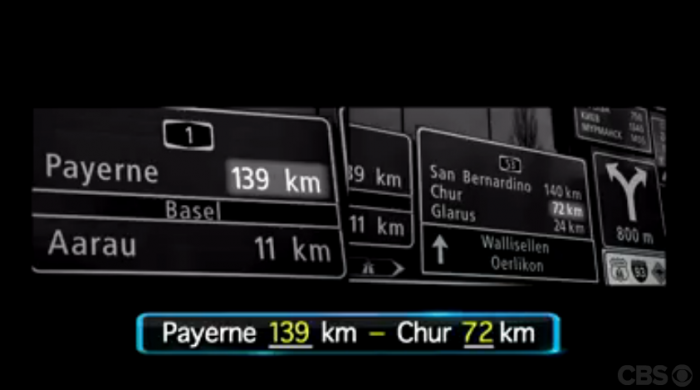 Teams had to locate their cities, such as Payerne and Chur, on a giant wall of road signs. As if the wall didn’t look overwhelming enough, they soon discovered that it even had multiple sides as they searched for just two numbers. 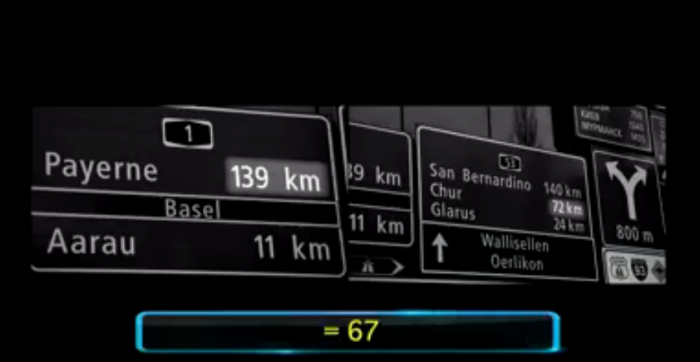 Those numbers on the signs would then be used to fill in the missing pieces of the equations. Of course, after they determined the year of their Mustangs, they didn’t actually get to drive them. I imagine Rachel behind the wheel of anything would be a disaster, to be honest. For winning this leg of the race, however, Dave and Connor won a 2015 Ford Mustang, which everyone and their mother wants to get their hands on. The next episode of the Amazing Race will air on Sunday, May 4th, at 8:00pm EST on CBS.